Nokia has sold its devices and services unit to Microsoft three months ago, and the move came after a lengthy struggle to stay relevant in an ever-changing mobile ecosystem and the burgeoning influence of iOS and Android. According to the terms of the deal with Microsoft, Nokia cannot manufacture a mobile device for 10 years, surging which it will refocus its efforts elsewhere. To understand how the once mighty giant of the mobile world got to this stage, we must look into the finer details. 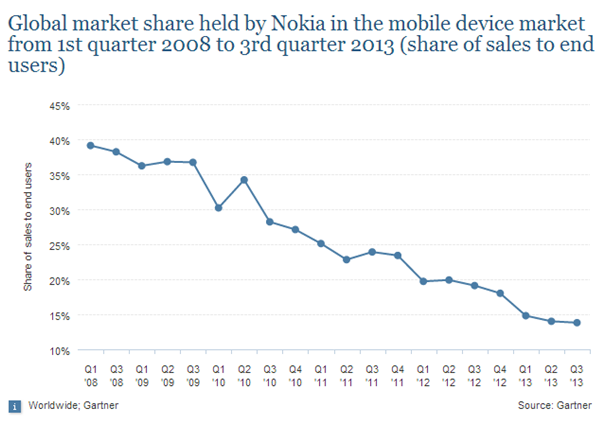 What led to Nokia’s downfall? 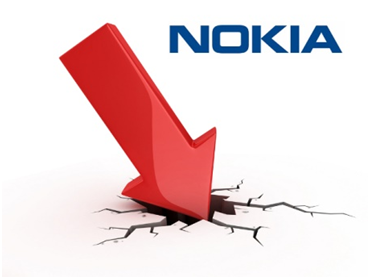 At one stage, Nokia controlled over 40% of the global market, which dwindled to just 4% by late 2013. While the decline has been going on for a few years now, Nokia’s decision to sell its devices and services unit caught many in the tech industry unawares, as its Lumia series was finally beginning to see some traction with users. Low pricing as well as great design meant that devices like the Lumia 520 are thriving in emerging countries. The Lumia 520 price in India is currently Rs. 7,548, and for this amount there is no other handset, Android or otherwise, that can come close to the Lumia 520 either in terms of features or build quality. Be that as it may, one of the major factors that led to Nokia’s decline was the rise of iOS and Android. Nokia was slow to see the change, instead relying on its position as the largest handset manufacturer in the world to drive more sales rather than innovate. This meant the Finnish manufacturer was ill placed to react to the changing mobile scenario. Nokia’s former CEO Jorma Ollila gave a recent interview in which he stated that Nokia’s inability to identify consumer trends was one of the most significant causes for its downfall. At the time of the launch of the iPhone, Nokia was making mobiles like the N96, and there wasn’t a platform in place for Nokia to distribute its software services, which caused the organization more harm in the long run. Nokia did launch a touchscreen mobile using its own MeeGo ecosystem called the N9, but it was a far cry from what others have achieved by then. Nokia stuck with Symbian for a long time, and then brought forth MeeGo, but both were inherently flawed in that they did not offer users the high level of functionality that Android did. Eventually, it struck a deal with Microsoft to run the Windows Phone platform on its Lumia handsets, but it was too little too late. What can Nokia look forward to? First off is Nokia’s networking unit, Nokia Solutions and Networks. Originally held as a joint venture between Nokia and Siemens, Nokia bought back Siemens’ stake for $2.2 billion earlier this year. Nokia’s strengths in networking can be leveraged to build infrastructure for mobile carriers all around the world. The Finnish giant is relying on this division to generate over 90% of the revenue once the handset deal is done. Here location service division is also a major area that Nokia wants to focus on. It has been estimated that Nokia’s Here location services are used in over 80% of automotive navigation systems worldwide. And Nokia is not resting on its laurels, as it has been wont to, but is instead working on a new utility called Earthmine. Nokia Earthmine offers similar functionality to Google’s Street View, but Nokia mentions that the difference lies in the imagery, which is said to consist of cars outfitted with high resolution 3D cameras. 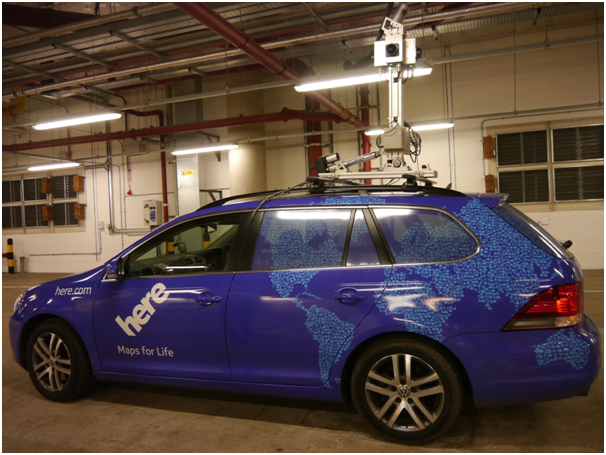 Nokia is also utilizing its Here location services to retrofit a driver less vehicle. While the work is still in the initial stages, Nokia is collaborating with Mercedes-Benz in leveraging this technology to build a driver less vehicle. However, such a project is more of a long-term undertaking, and if Nokia and Mercedes-Benz build a fully autonomous vehicle, they will have to clear a quagmire of regulatory and legal hurdles before it can be allowed onto the road.